On day 4 (Thursday), the final day of TechEd, there wasn’t any swag in the traditional sense, but I did walk away with something pretty sweet. 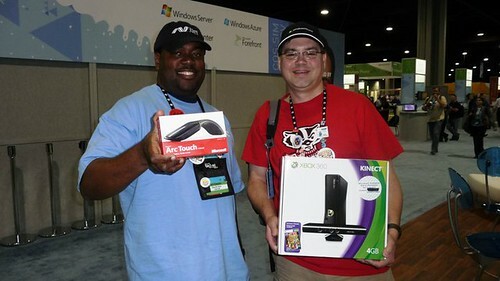 As the most prolific tweeter in the Twitter Army for TechEd, I won an Xbox 360 with Kinect. I like to think I earned it, but that may be debatable.